In case you did not know, buying granite countertops wholesale in Dallas wholesale is the best way to save money on your renovation. Within the last 5 years, the industry has seen major changes that benefit homeowners and contractors alike. 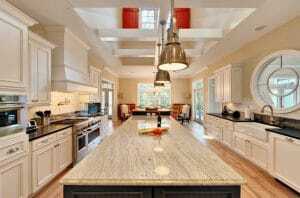 The ability to buy granite countertops Dallas as a wholesale is a recent achievement, one that means lower costs for designers, contractors, fabricators, house flippers, and homeowners. It is an achievement that should be taken advantage of. Here is how buying it for your next project can benefit you. Wholesale has long been the most cost effective way to purchase anything. It is almost like buying bulk at any stores you know. You get quality stuff for less. Your money takes you further, in the world of wholesale. Traditionally, wholesale was not for the typical customer. It was for shop owners and big businesses. The deals associated were not made public, and they certainly were not given out retail. Well, things have changed. So, what’s the first benefit of this change? Upfront pricing means that you know exactly what you are getting, and at exactly what cost. This means no hidden fees that you find at the end of the sales pitch, or at the bottom of a contract, or when you’re ready to pay. You will know what costs you are facing right from the beginning of a wholesale granite countertop in Dallas. This gives you the upper-hand. It allows you to stay on budget. It provides security in your purchases and your decisions. A renovation is difficult enough, so it is only right to make things easier in buying. While it is possible that the place you purchase your granite is also the place that will fabricate and install your granite, but it is not always the case. When buying granite wholesale, you have the ability to choose your fabricator. This gives you leverage because you can find the best price for your project. Or find someone who specializes in whatever type of edging you want. When the choice is placed in the consumer’s hands, they have the power – YOU have the power. With a wholesale shop, it is always best to go straight to fabricators and choose which one best suits you and your budget. Want to know more about the benefits of buying wholesale granite in Dallas? Contact us today at Hard Rock Imports. We would love to share to you our affordable rates and guaranteed premium-grade granite. Call us now!